I've been lazy over the last fortnight to paint my nails so it was time for some easy nail art with these pyramid point studded nails. 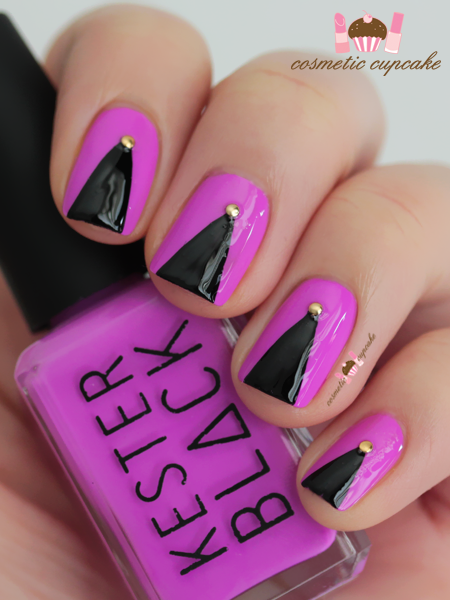 I used 2 coats of Kester Black Violet (swatched here) and freehanded the triangles using Kiss Nail Art Striper in black and added a small round gold stud to the top of the triangle. 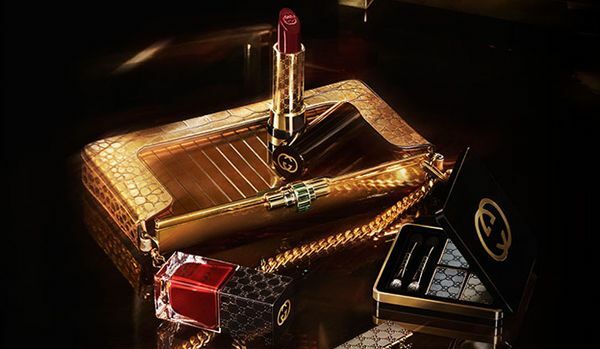 Last year Gucci joined the ever growing designer beauty market with an impressive collection that includes eye, lip, nail, face makeup, brushes and base products. Pairing luxe packaging with high quality formulas and a multitude of shades, it's a winner. 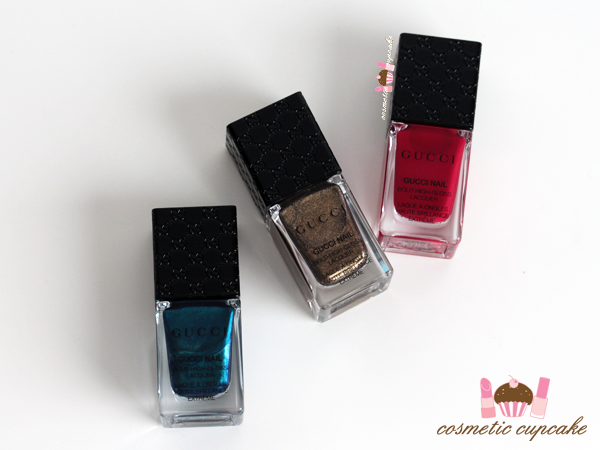 I purchased 3 of the Iconic nail polishes while I was in Hong Kong and have swatches and my review of Iconic Ottanio, Iconic Gold and Iconic Red for you today. "The bold high-gloss lacquer combines a state of the art formula and an innovative brush for a luxurious manicure experience. The specialized triangular-bristle brush provides impeccable, even coverage with each stroke, while the pigment-saturated nail polish results in a glossy, high-shine look." Hope you're all having a good start to the week! A very quick post to show you an awesome package I came home to when I arrived back from Hong Kong. 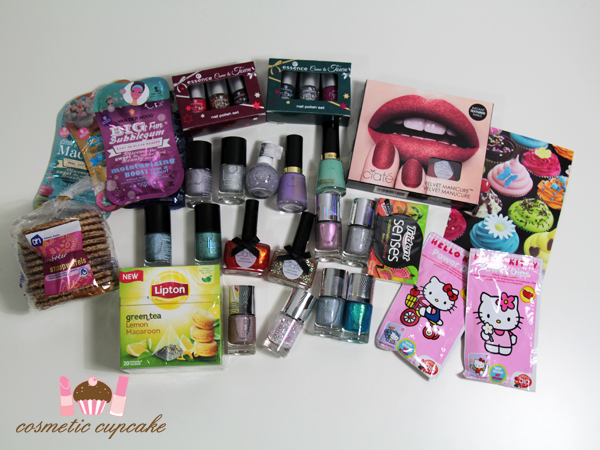 Lovely Dutch blogger Marte from Girly Addictions spoilt with some awesome European goodies! Beautiful Catrice holos! I actually picked up some of the Haute Future collection when I was in Rome last year but so happy to have backups of these pretty shades. 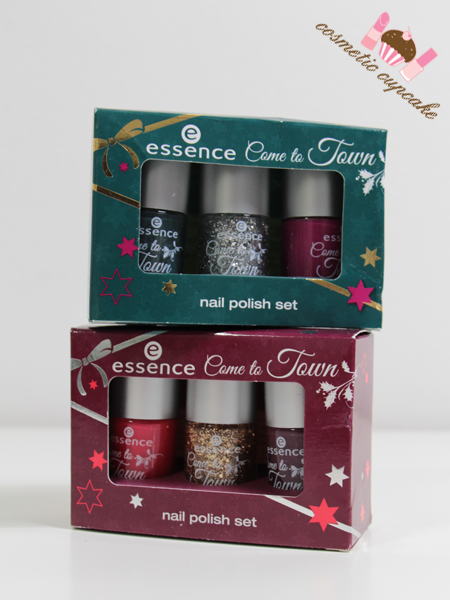 I love essence limited editions and these Come to Town Christmas sets are so sweet! They weren't available here in Aus either so super happy to add them to my stash. 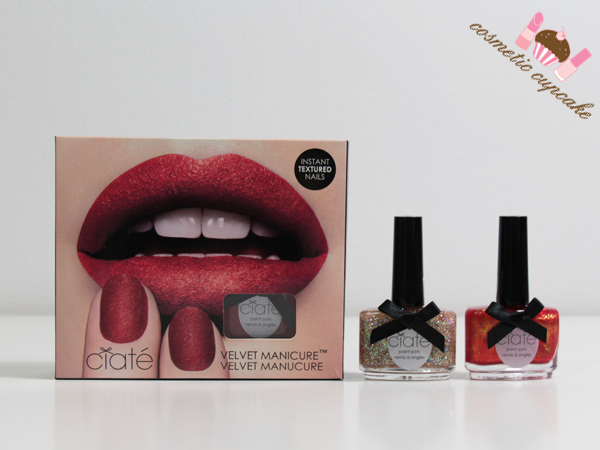 Ciate Velvet Manicure set and gorgeous glitters. 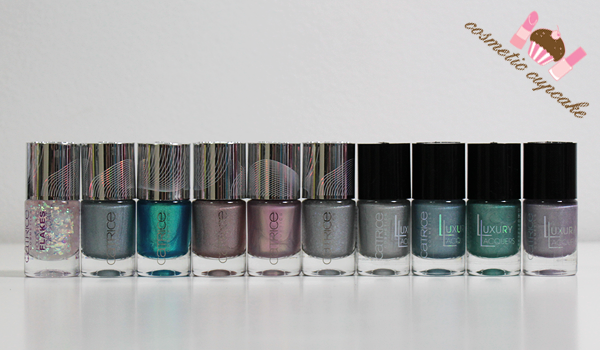 I don't have many Ciate lacquers as they're kind of pricey here so very excited for these. p2 fluffy spot polish and Revlon Enchanting and Electric. The swatches I've seen of the fluffy spot polish look really interesting as it's meant to give a snowflake look. 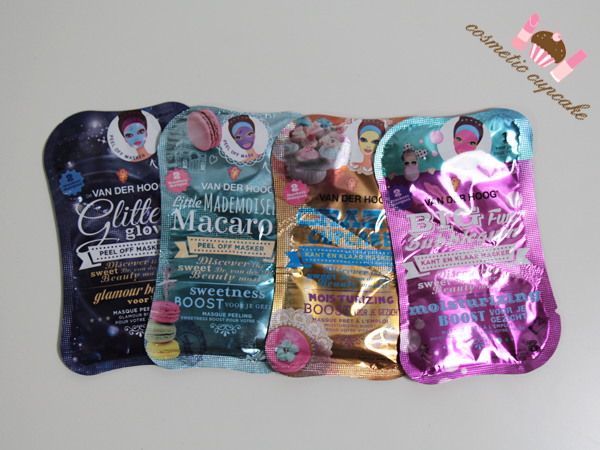 I love a good face mask and these sound so good coming in flavours like macaron, bubblegum and cupcake. 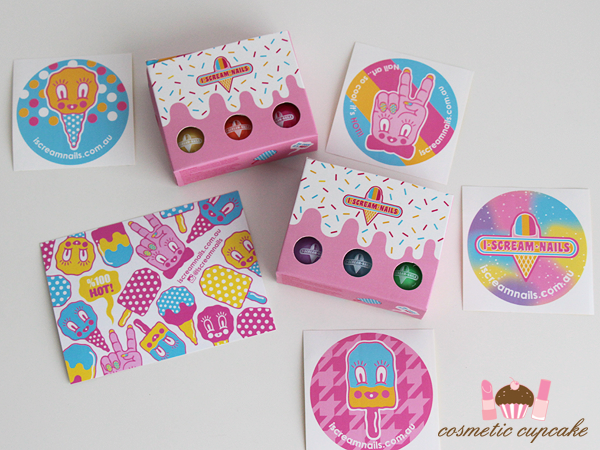 Love the metallic packaging too! 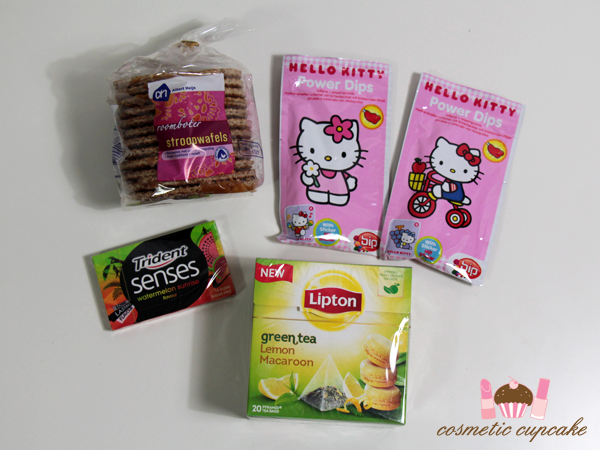 Delicious Dutch snacks including my absolute favourite stroopwafels! They disappeared in no time and went so well with the green tea lemon macaroon flavour which smells AMAZING. And who doesn't love Hello Kitty candy too! Thank you Marte for the amazing package! My lovely friend Aysh sent me this beauty a while back and it's taken me this long to try it out oops! 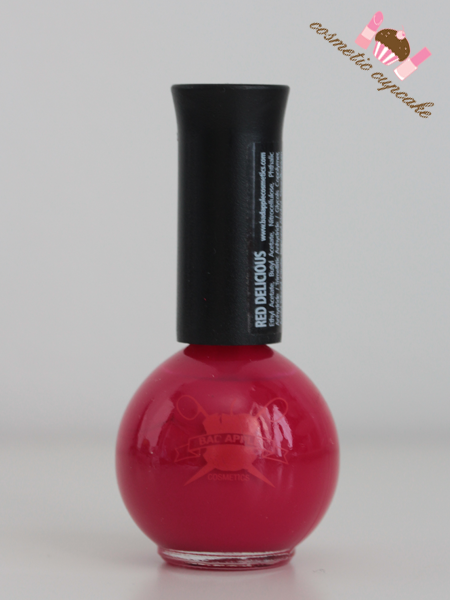 Bad Apple Cosmetics is a new brand for me that's not available here in Aus so I'm so lucky that I have such wonderful friends from overseas to help me get my hands on international lacquers. The name Red Delicious says it all and it's a yummy pinky red creme. The formula is smooth and opaque and the brush has a medium firmness making it easy to apply. 2 coats is pictured. Thank you Aysh for this beauty! 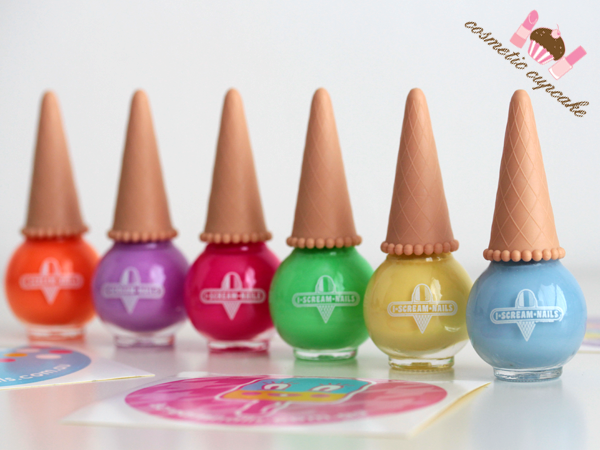 After swatching the I Scream Nails polishes I showed you yesterday, I had to do a bit of nail art with them. I love cloud manis as it’s sooooo simple to do you just can't go wrong! I used 2 coats of I Scream Nails Blue Heaven* and a medium dotting tool to create clouds using Kester Black French White* and topped it off with a coat of Cult Nails Wicked Fast top coat. My top coat dragged the design a little but real clouds are wispy so it works! 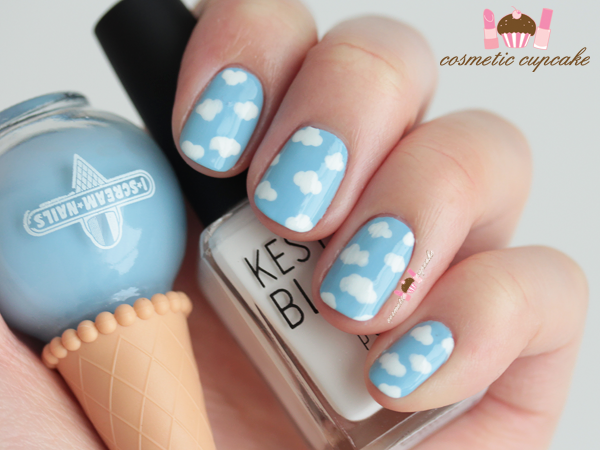 Have you tried a cloud mani before? Thanks for looking!